MANILA, Philippines -- Chinese Taipei defeated Japan, 7-3, Sunday to become to the 2014 12U champion of Asia. Six teams participated in the five-day Asian Championship: Chinese Taipei, Japan, South Korea, Indonesia, Singapore and the Philippines. The Asian 12U Baseball Championship, organized by IBAF Asia (Baseball Federation of Asia) and held every two years since 2000, is open to players aged 12 and under (11-12 years-old). Chinese Taipei has won every title, except for the first Asian 12U championship in 2000, won by South Korea, and the most recent tournament in 2012, which was won by China. 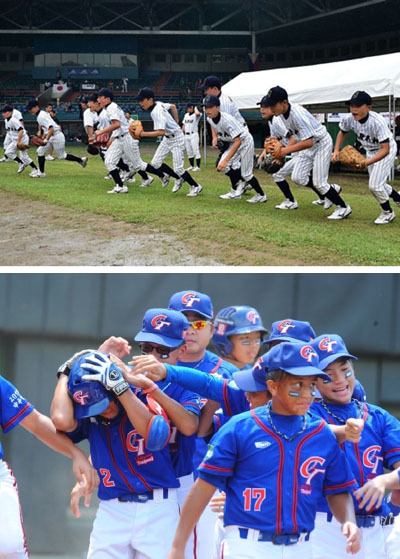 In 2015, the III IBAF 12U Baseball World Cup, which is the world championship event and the highest level of competition in the world in this age category, will be staged in Tainan, Taiwan. USA is the current 12U world champion, having defeated Chinese Taipei in the championship finale of the 2012 12U Baseball World Cup.